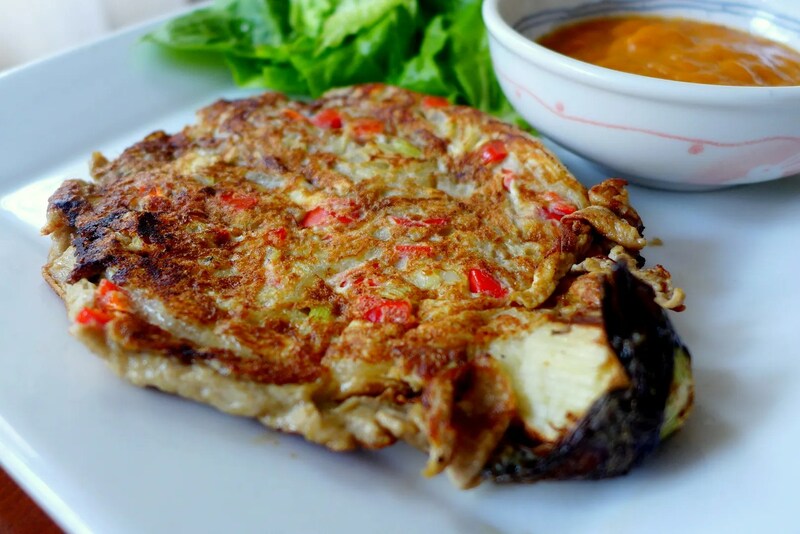 When I was researching for Philippine cuisine, I was deeply intrigued by this dish called Tortang Talong (Eggplant Omelette). A dish combining 2 of my favourite things: Eggplant and Egg; of course I had to try it! I wonder how come I’ve never thought of doing that myself, but nevermind as now this dish is in my life, I will never let it go. 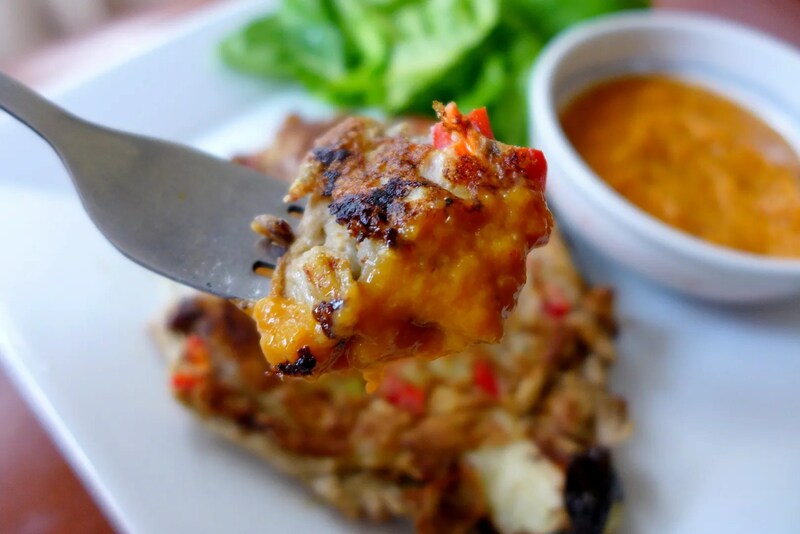 In Philippines, Tortang Talong is a very popular breakfast dish and it’s pretty economical as well. At the basic form, it’s just Eggplant with Egg seasoned with Salt and Pepper. Some do opt for ground meat or other vegetables in their versions. I have gone for some onion and chili to suit my taste. Plus the chili does give it a lovely colour contrast. Usually, this is enjoyed with white rice and banana ketchup. But to make it fully Paleo, I served it with some lettuce instead. 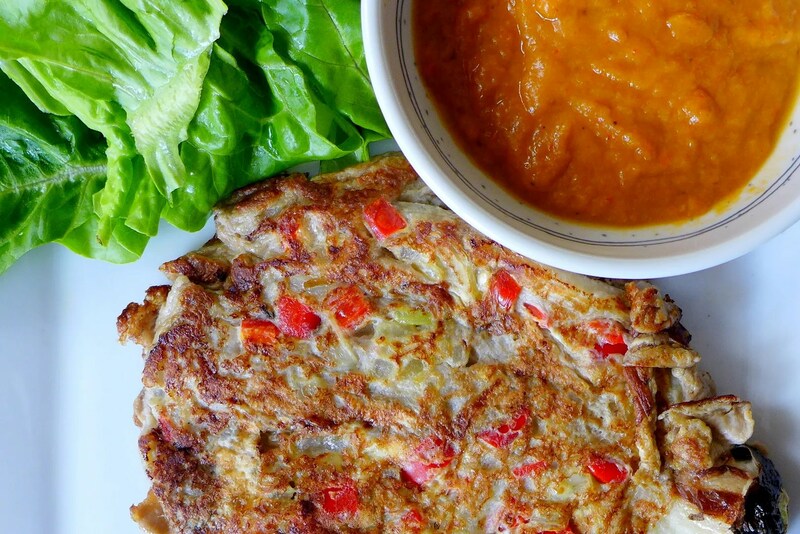 To see the recipe for Banana Ketchup which I’ve posted recently, click here. First we’ll need to char the eggplant. There are few ways of doing this. You can either grill it over the stove top until all the surface area is charred, then cool the eggplant, and peel off the skin. You could also use an oven broiler. But if you have a Philip Airfryer, it gets even easier! Just airfry it in 200C for about 10-15 minutes, depending on the size and thickness of the eggplant. Tada! Let’s get the eggplant naked! Beat the egg on a bowl and mix with cut chili and onion (feel free to cook the onion beforehand for extra sweetness). Place the eggplant on top ensuring that it is fully coated with the eggwash. Mash or flatten the eggplant. Season with salt and pepper. Heat some oil in a frying pan. Slide the eggplant to the pan and start frying it. 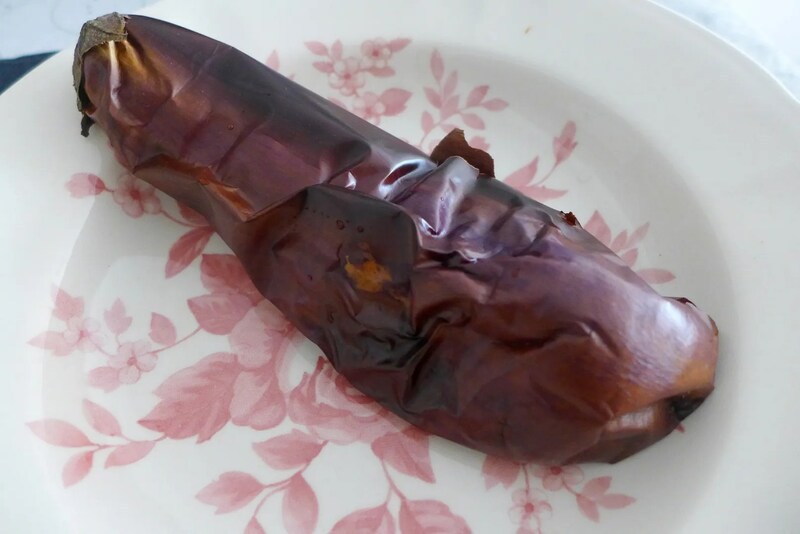 You can use the eggplant’s stem to lift it up and check to see if the other side is already cooked. If the bottom of the eggplant has set and is cooked, flip it over to cook the other side. Fry until it has set and has turned a lovely golden brown. Transfer to the plate and enjoy while hot! To be truly Pinoy, eat it with banana ketchup as your condiment. As expected, the texture is both fluffy and silky, and I love the simplicity of the flavours, enhanced by the delicious banana ketchup. Can’t wait to make it again! Frank isn’t really a huge fan of Eggplant but he enjoyed this dish too. Oh my goodness that looks so delicious and do easy. I can’t wait to try this recipe. Great post! Hope you get to try it soon! It’s so simple and delicious! 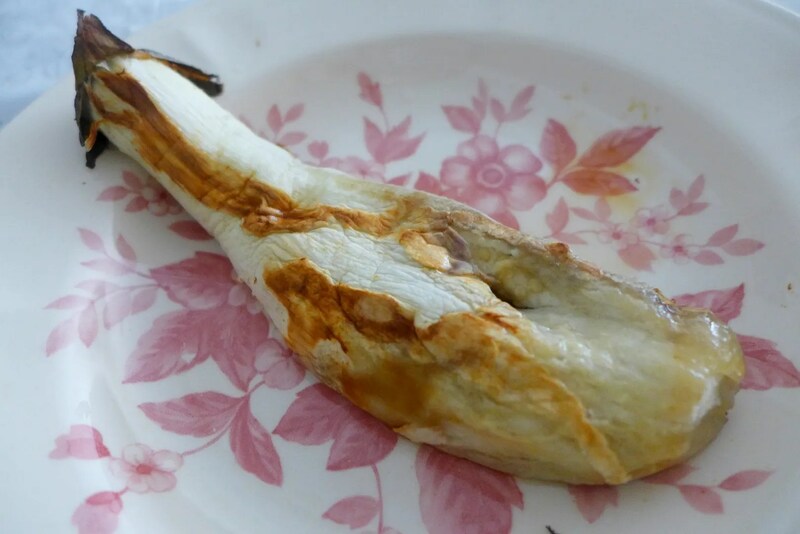 this is the ONLY way i’ll eat eggplant, been preparing this for a couple of years since my first reluctant experience with it at a pinoy restaurant haha. it’s awesome! I remember you posting it actually! I am late to the party but you bet I will be making it frequently to make it up. Tried this dish once at a Filipino restaurant, loved it! So very nice. Dunno if I can manage to whip it up or not… Removing the skin does not look all that difficult seeing how you do it. Hope to give it a try one of these days. Very easy, sure you can do it! This ia nice! Love the simple recipe. Will try it soon. Pingback: Two worlds… | ...Still crazy after all these years!